Certified Registered Nurse Anesthetists, or CRNAs, are some of the most advanced and highest paid of all nurses. CRNAs administer anesthesia during surgery, when an anesthesiologist, a physician who specializes in the administration of anesthesia and pain management, isn't available to do so. CRNAs actually predate anesthesiologists and are considered pioneers in the field of anesthesiology, having come into existence during the Civil War when anesthesia itself was new and just being utilized to ease pain for soldiers and surgical patients. 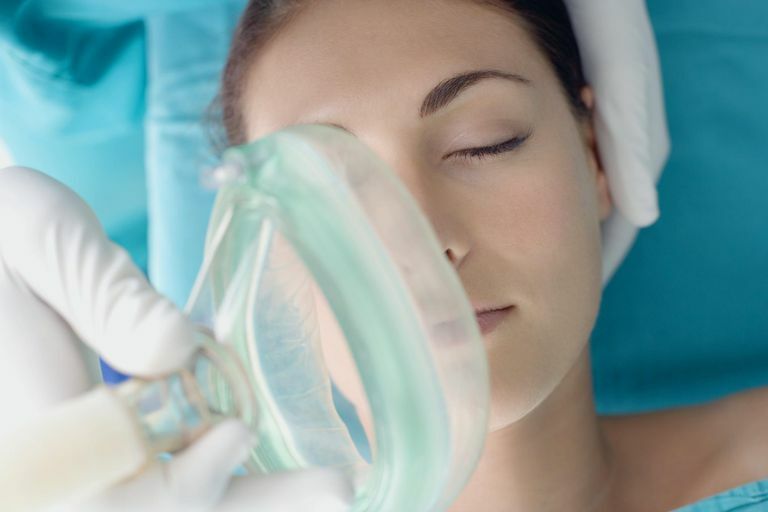 CRNAs often work as part of a team with anesthesiologists. With fewer anesthesiologists on staff these days, CRNAs enable more surgeries to be completed. Depending on state regulations and the bylaws of the employing facility, CRNAs may be supervised by an anesthesiologist or work independently. Although CRNAs are very well paid compared to other nurses, it's still far more cost-effective for hospitals to employ them instead of multiple anesthesiologists. As a result, CRNAs enjoy excellent job stability and high demand for their services. Most CRNAs are employed by hospital and work in a surgical environment, such as an operating room. CRNAs also may work in outpatient surgery centers and medical offices. CRNAs are responsible for administering over 65 percent of all anesthetics to patients in the U.S. There are over 30,000 CRNAs practicing in the U.S., and just over half of them are men. CRNAs function much like anesthesiologists. They're responsible for pre- and post-operative care as it relates to the delivery of anesthesia. A CRNA does a pre-op assessment of patients, administers the anesthesia during the surgery, brings the patient back out of anesthesia, and then follows up to ensure the patient’s recovery from the anesthesia. During surgery, CRNAs monitor patients' vital signs and adjust the level of anesthesia accordingly, while coordinating with the surgical team. Have a bachelor’s degree in nursing or another applicable field. Complete an accredited nurse anesthesia educational program. Depending on the intensity of the program, this can take two to four years. There are about 113 accredited nurse anesthesia programs in the U.S. Some programs require a minimum of one year of acute care experience, preferably in an intensive care unit or emergency room. Take and pass the national certification exam. Compensation depends on the work setting and state where CRNAs are employed. In 2016, the average annual salary was $157,000. In Montana, the average salary was $242,140; in Arizona, it was $117,740. The money is great and the job growth outlook is excellent. CRNAs can earn more than many primary care physicians, with a fraction of the education and training required. Employing CRNAs is very cost-effective for hospitals (anesthesiologists earn two to three times or more than CRNAs), and demand for CRNAs is expected to increase at a rate of 31 percent between 2016 and 2026. CRNAs have a great deal of responsibility, so the job can be stressful. And depending on the size of the anesthesiology staff, the on-call schedule can affect your quality of life. American Associate of Nurse Anesthetist. Certified Registered Nurse Anesthetists Fact Sheet. https://www.aana.com/patients/certified-registered-nurse-anesthetists-fact-sheet. Nursejournal.org. Advanced practice nursing fact sheet. https://nursejournal.org/advanced-practice/advanced-practice-nursing-fact-sheet/.